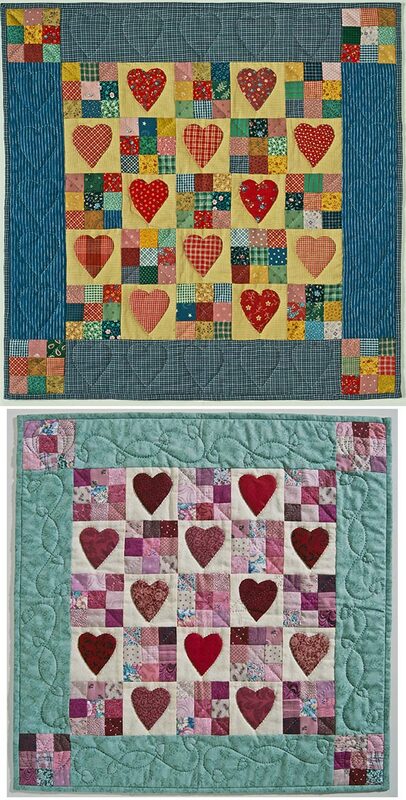 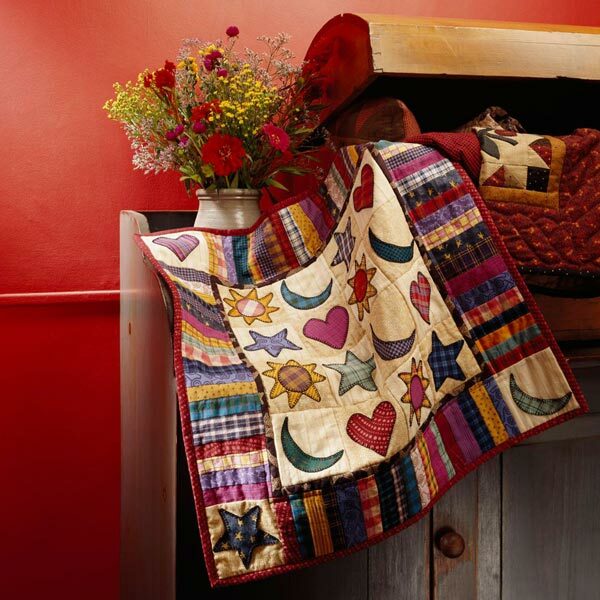 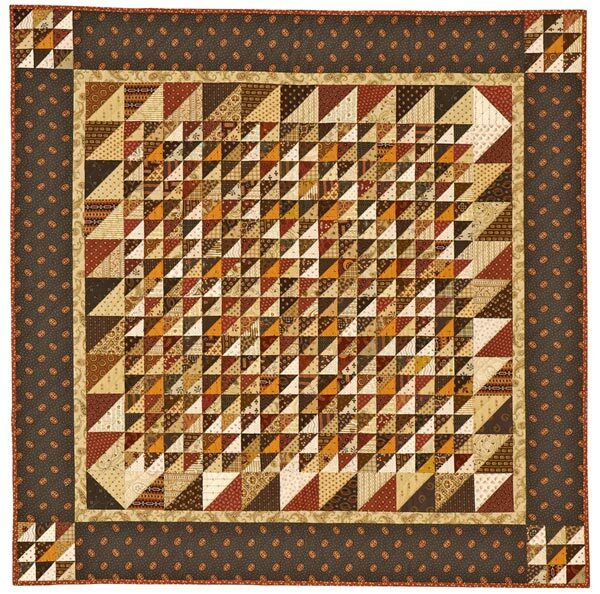 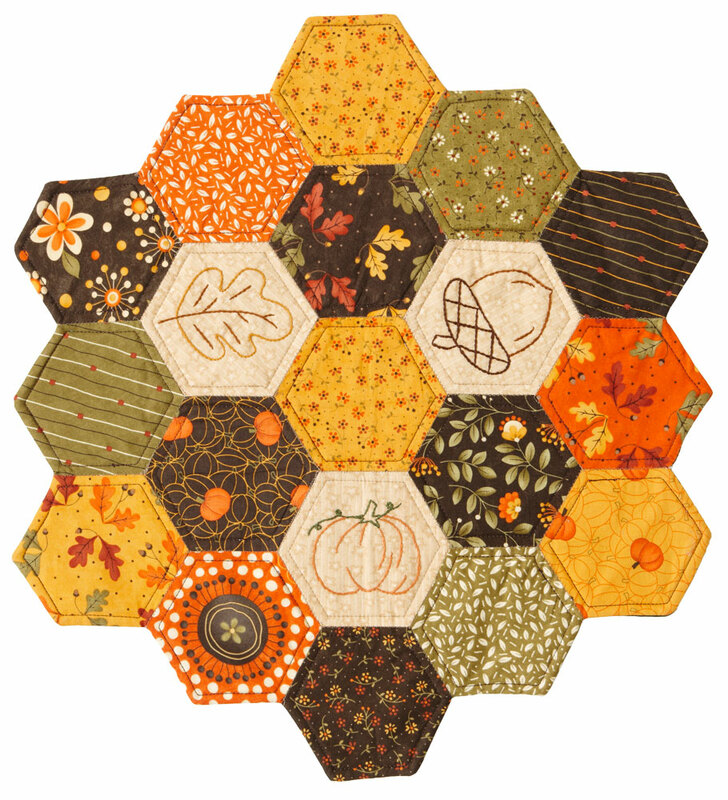 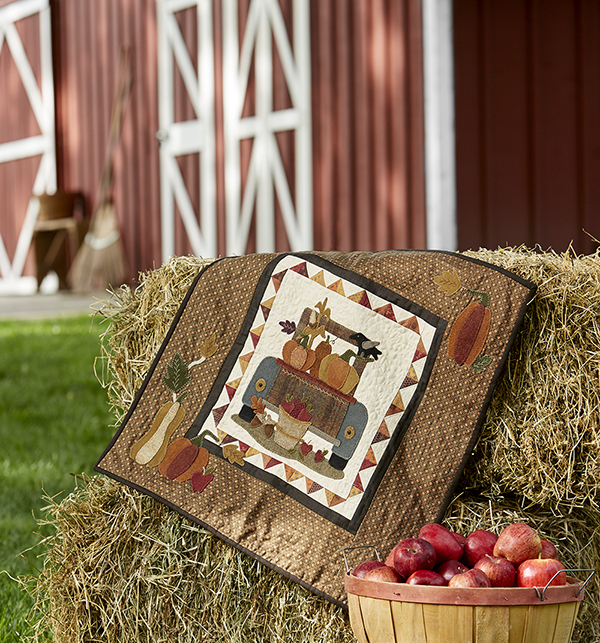 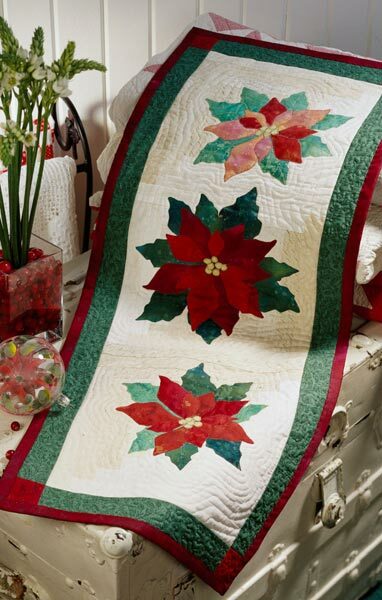 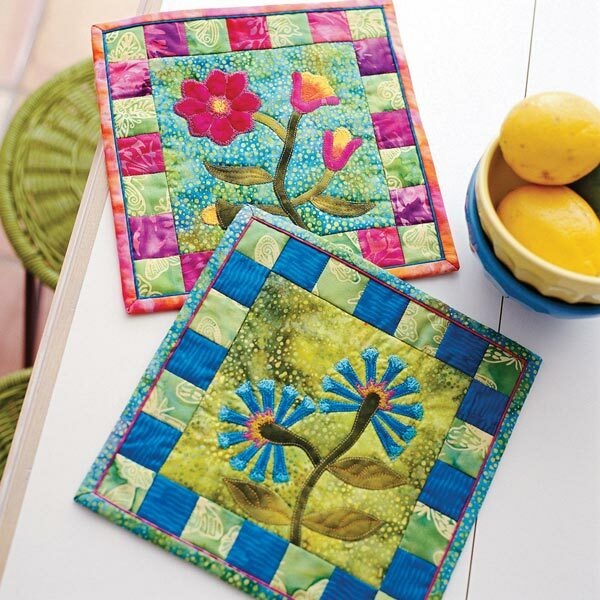 Hone your hand-sewing skills on a tabletopper featuring paper-pieced hexagons and simple hand-embroidery stitches. 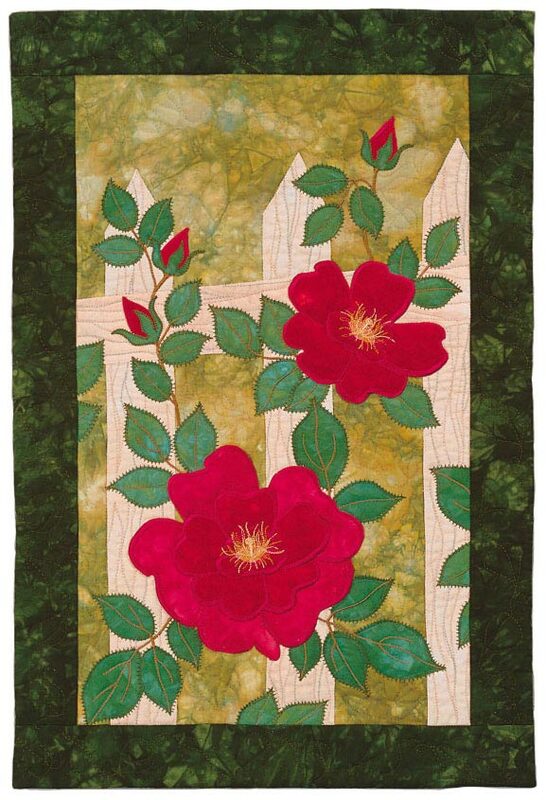 Finished table mat: 18-3/4". 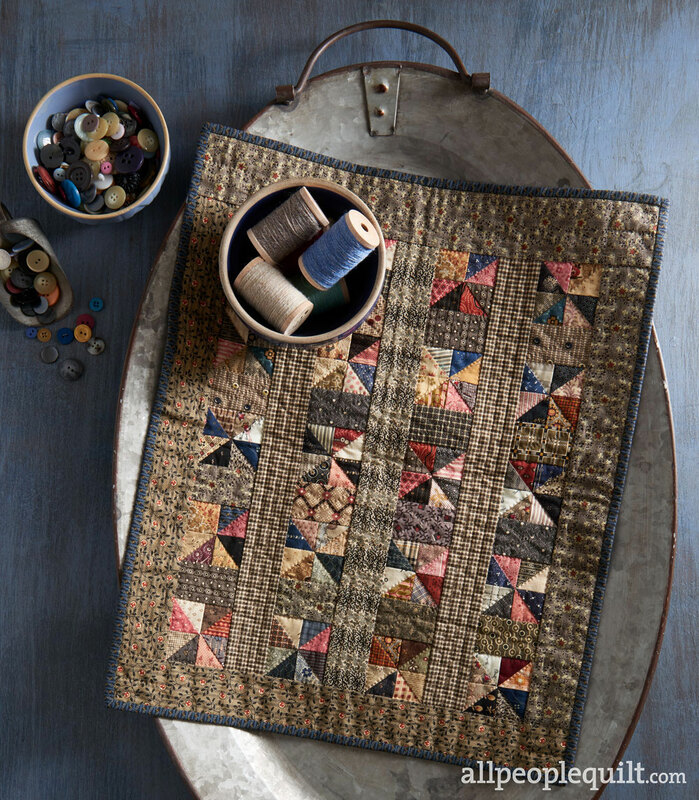 Designer: Sherri K. Falls of This & That.